Tusk stands firm in not wanting to be indebted to Yamato, especially since this is all his fault in the first place. Yamato apologizes, but the other Zyumans are just hungry. Tusk refuses to go with them, so he takes Yamato’s cube and leaves. Yamato takes his new Zyman friends downtown and they marvel at all the humans and their fascinating world. Yamato loses control of them as they each want to explore. Amu gets herself a drink and has Yamato pay for it while Leo climbs up a tree and Sela swims in the plaza fountain. Meanwhile, Genis feels Earth will be the perfect place to commemorate the 100th Blood Game. They remark that in some of the last planets, the prey died too easily. So seeing this planet will have some obstacles will make things more fun. Genis says he will award a prize to anyone who will amuse him first. 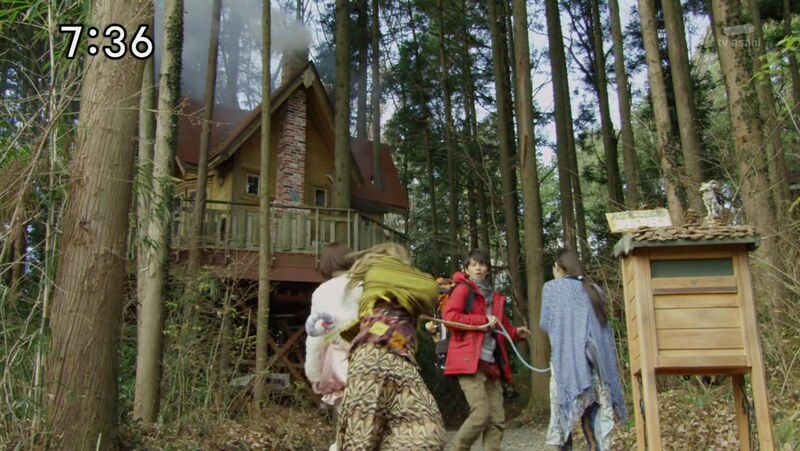 Yamato has Leo, Sela and Amu on leashes as he brings them to his uncle’s house in the forest where he’s been staying. He reminds them to be on their best behavior so Uncle can let them stay. Sela hears a sea lion nearby. She has great hearing while Amu has a good sense of taste and Leo is loud. They head upstairs and they find Uncle Mario dressed as a sea lion. Yamato explains that Uncle Mario is an animal sculptor and whenever he works on something, it flips a switch in his brain so he imitates animals so he can accurately breathe life into them. For some reason, Leo morphs into his Zyuman form and roars at Uncle Mario causing him to faint. Sela and Amu also morph and Gao much to Yamato’s annoyance. They turn back to their human forms as Uncle Mario comes back, thinking it was just his imagination. But Uncle Mario is happy to let them stay since they inspired a vision in him. Yamato says they are his teammates and are studying animals with him. Alone, Tusk expresses his suspicions about Yamato and how a human could become an eagle. He vows to find the missing King’s Mark. Later that night, the Zyumans say pretending to be human is tiring. 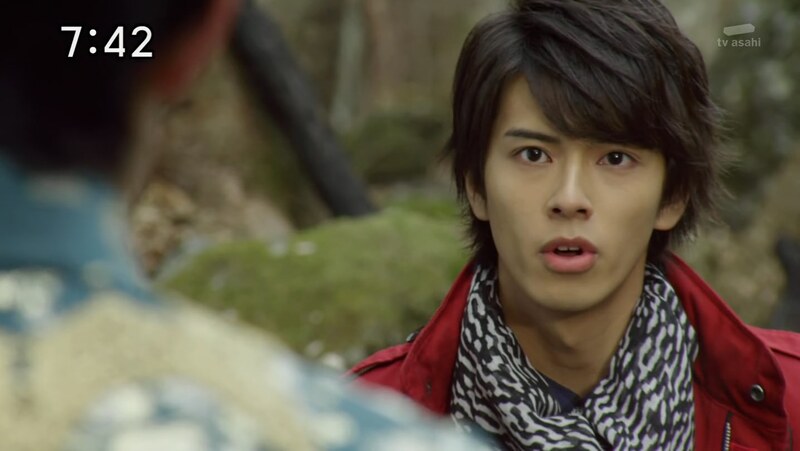 But Yamato reminds them to be careful, especially around Uncle who shouldn’t see them in their Zyuman form. Yamato says he’s sure Tusk will join them soon, but the Zyumans don’t really care. If he were in trouble, he’d let them know. But Yamato thinks they’re being a little cold about the situation. Tusk is at the Link Cube and thinks about the happy times back in Zyuland with his father and his friends. Next morning, the Zyumans look for Yamato but Uncle Mario says he left early to pick up another teammate. Having fallen asleep by the Link Cube, Tusk wakes up when Yamato comes out of the water. He’d been looking for the missing King’s Mark. Tusk notices Yamato has also set up a nice camp and good food. But why? Yamato (and Uncle Mario to the other three back home) explains that a birdman saved him when he was a child. He had run away from home after a fight with his parents. After falling off a cliff (! ), a birdman appeared and gave him the cube, saying it would protect him. Uncle Mario says the birdman must’ve just been Yamato’s imagination, but ever since then, Yamato has been very interested in animals. 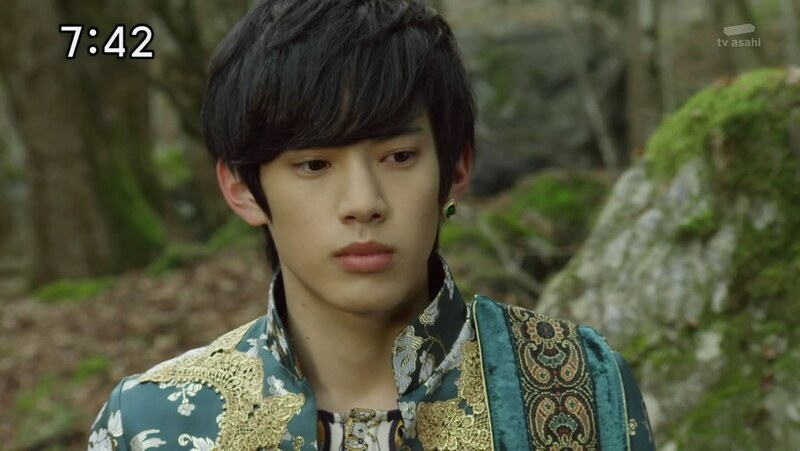 Yamato says he feels all life on Earth are linked and he promised to help all those he’s linked to. Yamato offers Tusk an apple and he takes it. Meanwhile downtown, Halbergoi of Team Azarudo attacks the city as part of the Blood Game. He sends fiery spears raining down on the city. The Zyuman4’s tails stand up. Uncle Mario sees the tails as the three hurry out. Yamato hurries downtown where people are dying left and right amidst huge explosions and collapsing buildings. Yamato charges toward a laughing Halbergoi, but he just gets knocked aside. 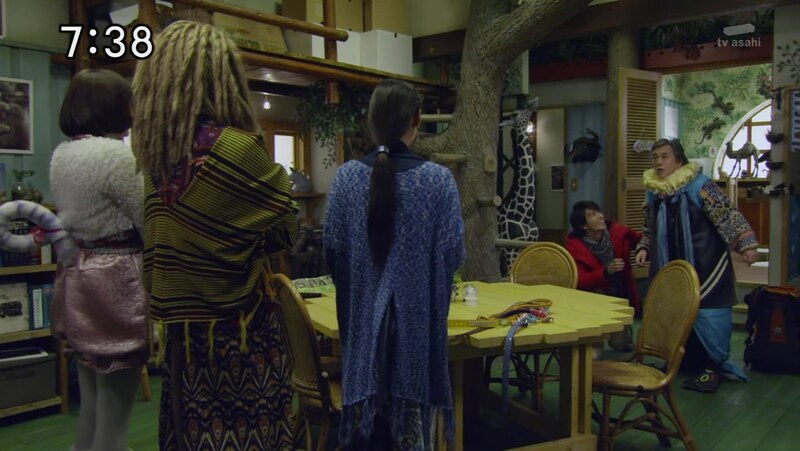 Leo, Sela and Amu watch as Yamato tells Halbergoi that all life on this planet are linked in some way and that they all support each other. “I won’t let you get away with this!” Yamato punches Halbergoi in the face, but again just gets swatted away. The Zyumans run over to Yamato, saying a human can’t possibly match up with the Deathgaliens. Yamato says he just can’t stand by and watch people get killed. 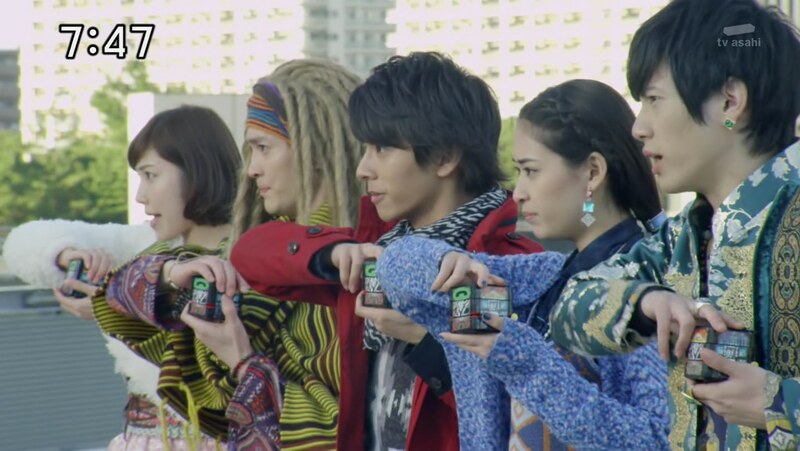 Leo, Sela and Amu are encouraged by Yamato’s words and are ready to fight. But Tusk arrives. Tusk hands Yamato his cube back. Yamato’s words seem to have touched him earlier and now all five Zyuohgers are ready. Halbergoi summons Moebas, but the Zyuohgers easily take care of them with a little Beast action. They turn their attention to Halbergoi and use their Zyuohbusters for a Zyuohslash to finish off his first life. 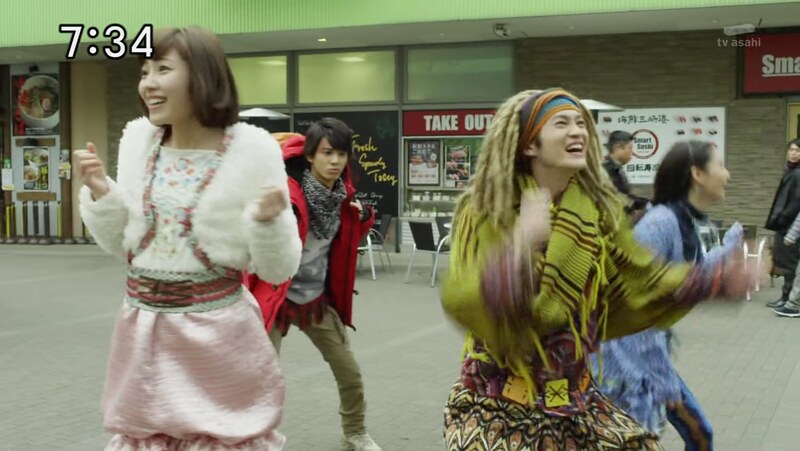 Ginis sends Naria down with a Continue to embiggen Halbergoi and the Zyuohgers hop into their Zyuoh Cubes. Yamato initiates combination and this time it is Tusk and Amu who get their cubes through the fiery square to form Zyuohking. With Leo and Sela backing them up, they easily take care of Halbergoi. Back at the treehouse, Yamato welcomes Tusk. But Tusk smells something bad. Turns out he smells what Uncle Mario has cooked for dinner since Tusk has a strong sense of smell. 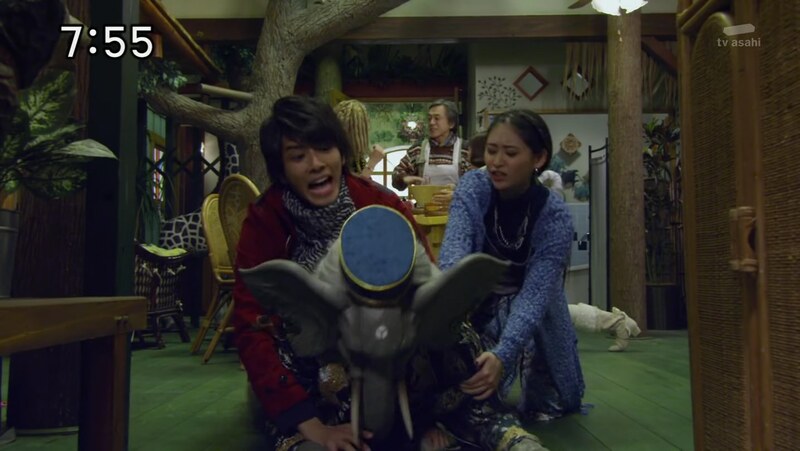 Tusk goes elephant and wants to leave, but Yamato and Sela stop him while Leo and Amu distract Uncle. A nice little 2nd episode for the season. It was a typical “One member is too standoffish and needs to learn teamwork” 2nd episode. But it’s alright. It did highlight how positive and smart Yamato can be. That will go a long way toward having Yamato relate to the audience and it’s working so far. I really liked the vibe of Zyuland last week with the dynamic market and all the cubes. But I didn’t realize that with the Zyuman4 in the human world, we’re actually not going to see Zyuland much if at all this season. Sad. More drone action during that Moeba fight! That drumroll when the cubes stack on top of each other is hilariously fun. And like most of the little quirks and design decisions this season, they all together are amusing and enjoyable. Nothing too special for this 2nd episode, but definitely fun and enjoyable overall. 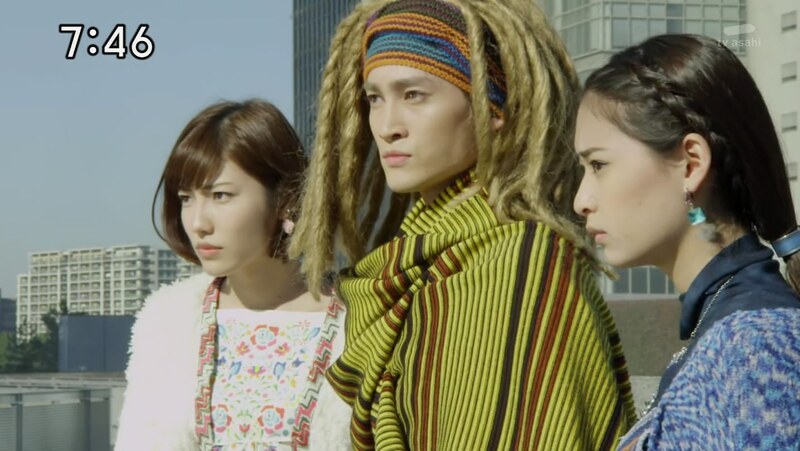 ← Recap: Kamen Rider Ghost, Episode 19 – Explosion! Paint From Your Heart! 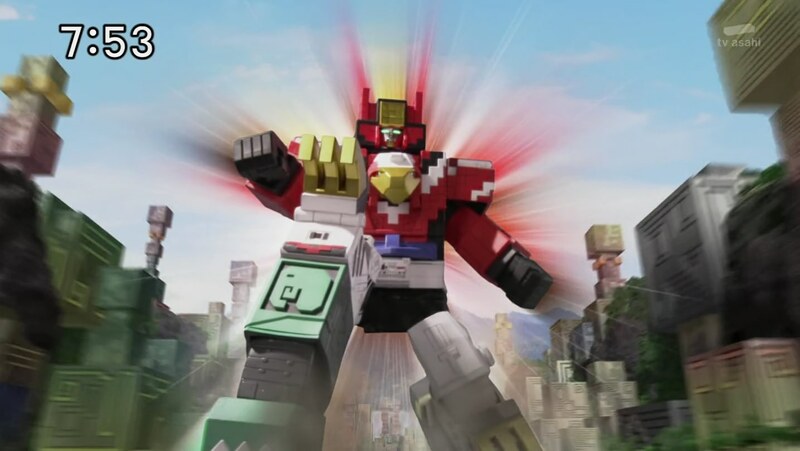 This will definitely one of the best sentai in sentai history. I like the classic sentai vibe. I think I’m going to enjoy this season. Yeah, it does feel like a “classic” season. I like what I’ve seen so far.